Type A: Revamp Homegoods, 9 Days 'Till Christmas!!! Hey there, Vamps & Type A'ers! Meg, here, @ Revamp Homegoods. 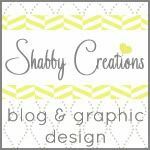 I'm a budget-minded crafter, cook and DIY-er. I love transforming a piece from trash to treasure or creating a copycat version of a trendy decor piece for a lot less money. I hope you can stop by for a visit and see what I'm up to. Speaking of excitement? 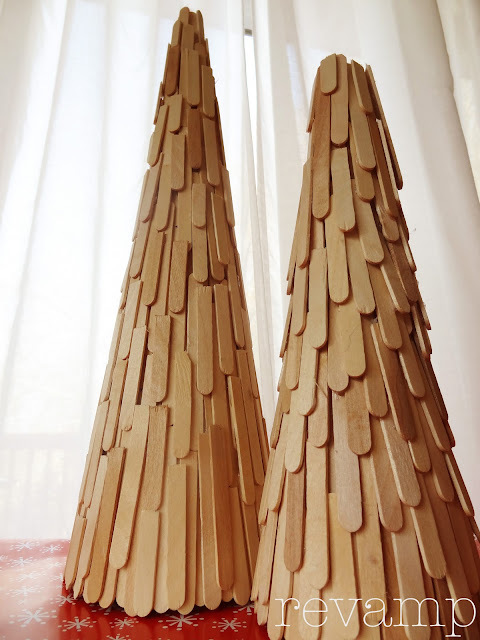 Have you seen these West Elm Scalloped Trees? Pretty awesome, if you ask me. 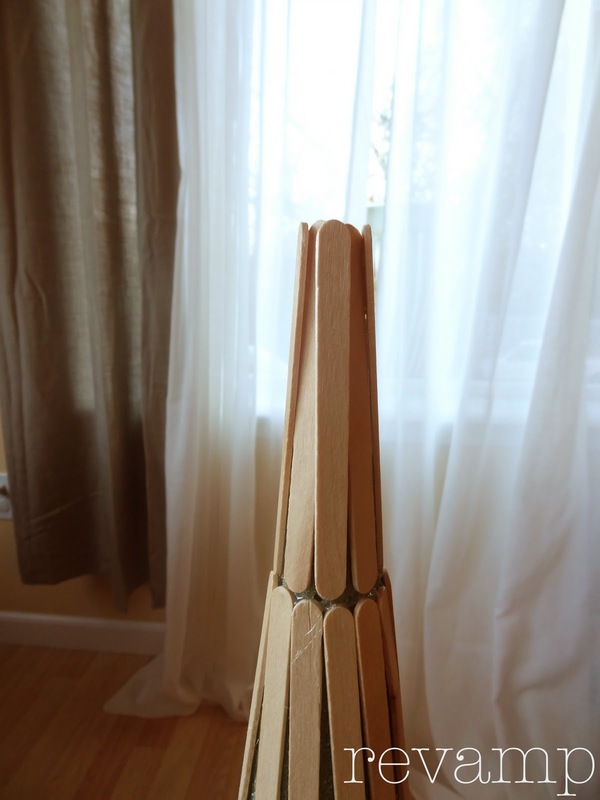 They're constructed out of seagrass and styrofoam. 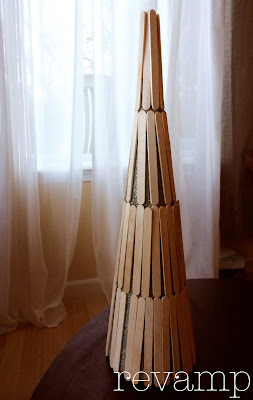 So, I thought popsicle sticks would be a great substitute and I picked up a couple styrofoam cones @ Joann Fabrics, which were surprisingly expensive for what they are. 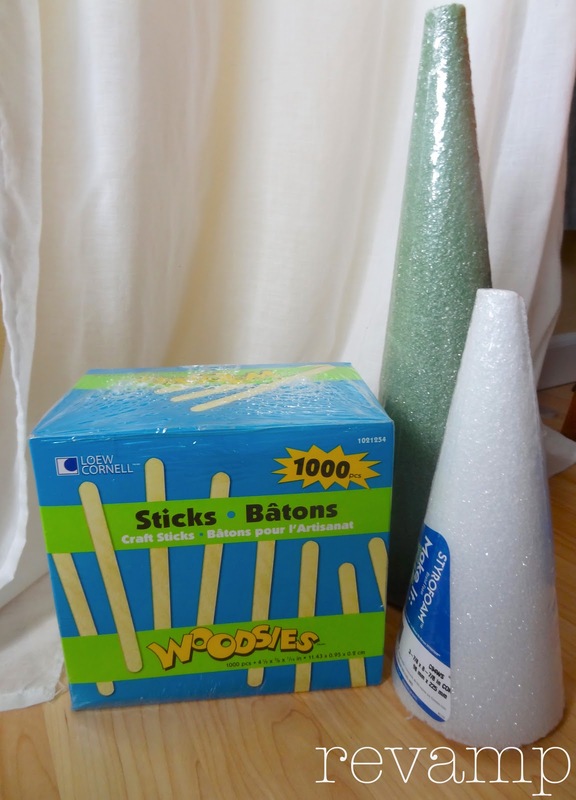 And by expensive I mean $6 for the 15" cone. Still less expensive than the West Elm version, but c'mon $6? When I first started on this project I was like, Oh hells yeah! This is easy as pie. Well, my pie turned into a soufflé or whatever that crazy beef thing that Julia Childs made. Point is, well, actually that was the whole issue. 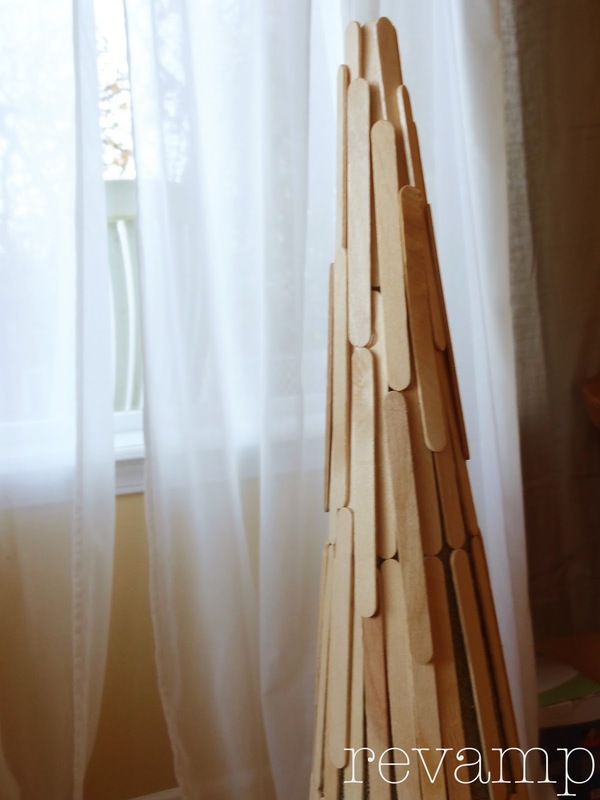 My tree just wouldn't come to a point. 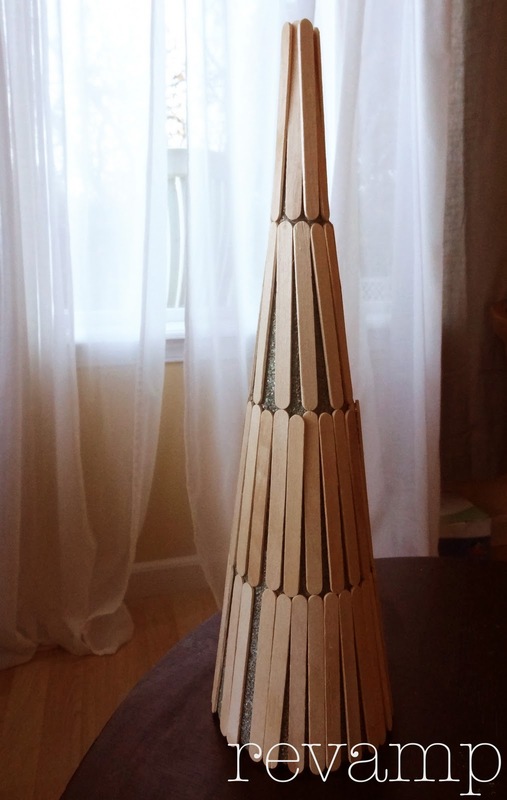 The thickness of the popsicle sticks was hindering all of my attempts to make it more pointy & tree-like. My mistake? I started at the bottom and worked my way up to the top. I pried off the layer at the top and tried again, only to end up with another blunt top and a lumpy looking tree. So, for my 2nd attempt I started at the top and it came out much better, point-wise. 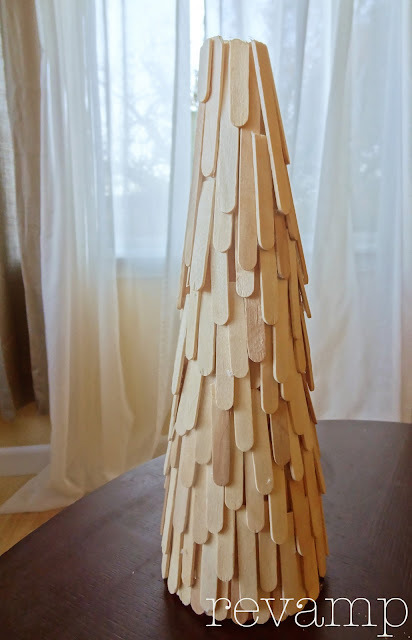 Here are the steps to make your own scalloped tree. 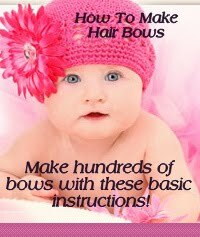 Step 1: Heat up your glue gun. 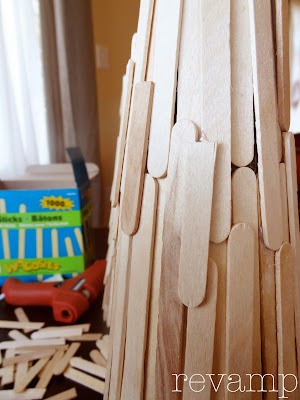 Bring the sticks to a point about an inch above the styrofoam and then work your way down with the first layer, gluing one by one. 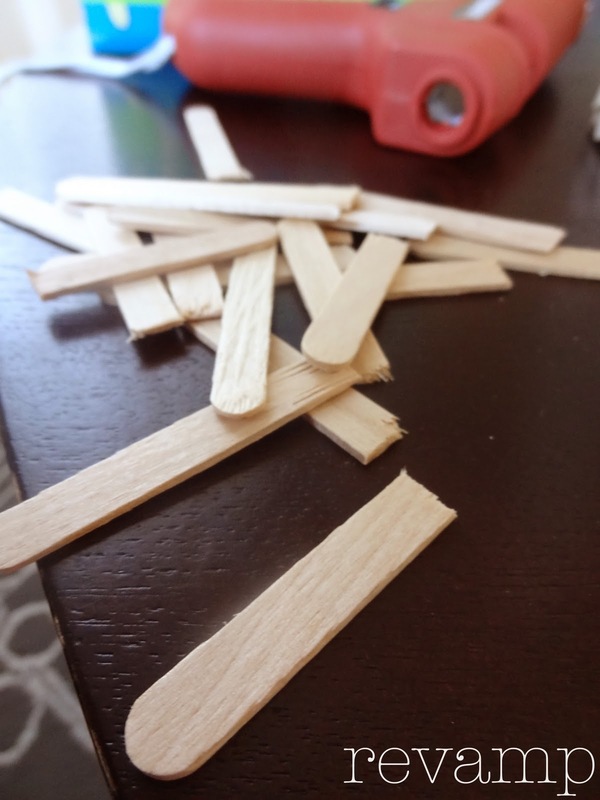 Step 4: Start gluing the shorter sticks, overlapping as you go. This process is a little more time consuming, but pretty soon...you're all done. And you have a beautiful scalloped tree with a semi-pointy top! 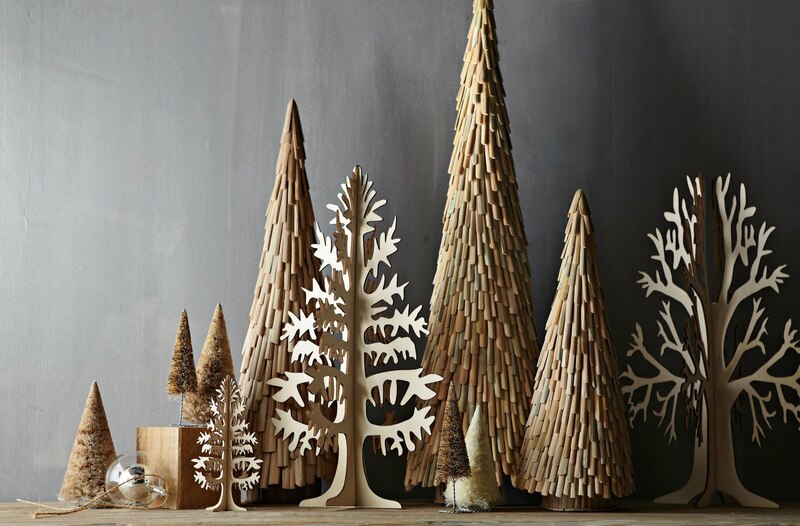 I'm definitely more fond of the scalloped look of the blunt tree with the ends tucked underneath the next layer and of course the point of the taller tree, so I'm just going to have to buy a third cone (perhaps a bit shorter) and make a perfect little combination of the two. So, there you have it. Two scalloped trees, similar to West Elm's version, but at a fraction of the cost. Now that's my kind of decoration. Loved being a part of this. Thanks so much for hosting Tammy! Happy holidays! The trees look great! 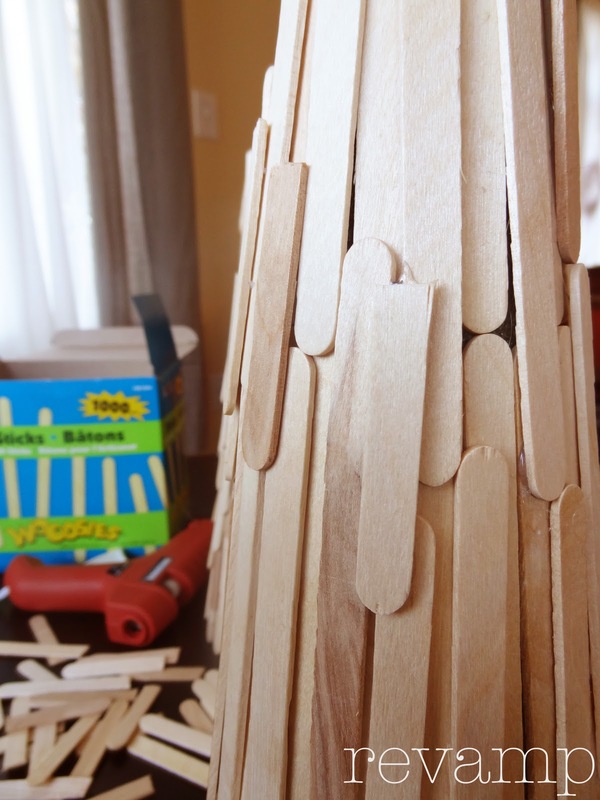 Creating involves process and your process led to success. Good job!